The name "C sharp" was inspired by musical notation where a sharp indicates that the written note should be made a half-step higher in pitch. C# (pronounced "see sharp") is a multi-paradigm programming language encompassing imperative, functional, generic, object-oriented (class-based), and component-oriented programming disciplines. It was developed by Microsoft within the .NET initiative and later approved as a standard by Ecma (ECMA-334) and ISO (ISO/IEC 23270). C# is one of the programming languages designed for the Common Language Infrastructure. C# is intended to be a simple, modern, general-purpose, object-oriented programming language. Its development team is led by Anders Hejlsberg. The most recent version is C# 4.0, which was released in April 12, 2010. I’m Junior Mayhé, born in Rio de Janeiro, Brazil. Been programming computers since high school. Our high school had a lab with all those ancient PC XT using 5 1/4-inch floppy disk to save my first programs made in Pascal, Cobol and Clipper. The programming language I hated most was Cobol: simple but boring. With Pascal I really learned more complex algorithms. For producing first applications, I used Clipper. I’ve come a long way since 1991. At home I helped my father, an illustrator, to create some recreation magazines on Photoshop and CorelDRAW. While in Estácio de Sá University, I got my fist job in Virasoft, a small company focused in software training like Photoshop, CorelDRAW, DOS and Windows. Later I took an job opportunity as trainee in IBM Global Services, where I learned essential analysis for a warehouse control software. Left IBM, because at 1997 they were using really ancient softwares, while the world was evolving really fast in other tecnologies I would like to learn. I got a job at commercial department of AMBEV, the biggest bevarage company in Brazil, helping my chief to gather information of different managers and present it to our commercial director. A friend of mine, Marcelo Franco took me into his company ECO Systems. My job was to create two big applications involving all human resources aspects and hospital control for Health Secretariat of Rio de Janeiro using Microsoft for coding and Oracle databases. I had made good friends. Lots of fun. Later on DBA Engineering company, I took my first position as member of in house software factory. 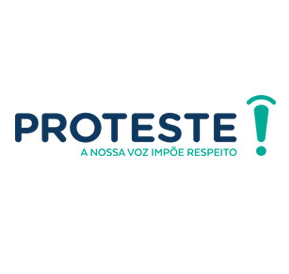 There were no exciting projects at its software factory so I decided to join other department’s fellows in a Sales Force Automation project for Telemar (now known as Oi), the biggest communications company in Brazil. The Worldcom accounting scandal affected Oi (former Telemar), who took away the project and let us without a job. DBA started to dismiss people of all positions. A new opportunity appeared at Verlane consulting for working at Globo.com company, a big internet firm in Brazil, one of my best decisions, getting in touch with pure ASP.Net development. The payment was getting late at this company so I decided to left it and got back to Manhattan till 2005. At Manhattan we worked as outsource quality analyst on a customer relationship system for Light with Alessandre Haua and José Iran, biggest electricity company in Rio de Janeiro. After launching this java system, my project coleague David Steinbruch, owner of Thera Solutions and Manhattan‘s partner at that time presented me to nTime mobile solutions, now known as Movile (former Compera nTime): a company specialized in mobile technologies. People at nTime are have just like Google’s work mentality: work relaxed to produce more. Work relaxed doesn’t mean to do nothing, but work doing the things you like. When you work in something you love, everything becomes better! Leonardo Sales was my chief and a really good manager, good listener, who knows how to ask for things and make his point. – Management of external systems development teams in technology projects aligned with company strategy; – Identification of opportunities and demands for development projects, defining prioritization and integration of systems with other managements; – Follow-up of project-related change requests, ensuring the scope, costs and deadlines agreed with IT suppliers; – Intermediation of suppliers responsible for integration between corporate systems, to ensure availability, efficiency and security; – Evaluation of technical proposals from suppliers for new IT projects such as new Corporate Website, E-commerce platform, Firewall, Antivirus, Database Marketing, SEO, Print Outsourcing, Production and Backup Storage, E-mail Cloud Service, SSL Server Digital Certificate, Android and iOS mobile app builders, considering market practices and technical perspective; – Documentation of corporate network architecture, corporate backup, IT work procedures and instructions for quality management and knowledge base. The new website was developed taking into account the latest trends in design and technology worldwide using MariaDB, Galera Cluster, Redhat IDM and CMS WordPress: the tool for portal development and web application integration. The legacy applications were embedded and deployed in their own interface respecting the design of the corporate image of the company. 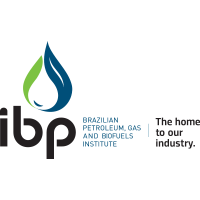 The new site offers for associates and visitors information about the Brazilian Petroleum Institute, products and services such as Courses and Events. ‒ Requirements gathering, prototyping, elaboration of use cases and technical specifications for development of logistic product modules, such as fleet supply in accredited fuel stations network, fleet supply in internal fuel stations and contestation of fuel supply. ‒ Database modeling and scripts versioning for development, testing and approval environments. ‒ White-box testing on services and facades built in the logistic product under NET platform, Regression and black box testing on approval environment. ‒ Data importers development in C# obeying pre-established business rules while maintaining adherence to the data model to accelerate the entry of new customers in company. ‒ Planning, distribution, and coordination of tasks for software development team. Right Job is a mobile application that allows you to search jobs from several countries in one place in a practical and intuitive way. The main technologies used in this project are Android Studio, Android SDK, Java and XML. ‒ Processes Analysis in BPMN notation, gathering of business rules, functional and non-functional requirements for the Management and Operation Survey System for Deputy Superintendent of Economic Cycles. ‒ Functional analysis and specification: use cases, conceptual model, data model, entity relationship model classes and prototyping for Project and Tasks Planning System for Services Management Center Department. ‒ Preparation of analytic advice on processes, workflows, instructions, and presentation of proposed solutions. ‒ Validation of demands implemented by developers before user approval. ‒ Requirements gathering and specification, systems analysis and modeling, data manipulation, design of new architecture solutions, integration and unit testing for company’s portal. ‒ International portal full stack web development with foreign professionals Euroconsumers company from Brazil, Portugal, Belgium, Spain and Italy. ‒ Implementation of Continuous Integration to ensure deployment of only tested code from SVN (subversion) repository reducing software maintenance costs and increasing systems quality. ‒ Creation of Interface for legacy ERP for managing CRM data of portal members and visitors to accelerate Call Center care service. ‒ Creation of reusable libraries, wiki for developers and back offices for administration of internal systems and monitoring of external critical systems for company’s business. ‒ Follow up of tasks, duties and team members responsibilities through SCRUM agile methodology. Minimized users spent time in order to send a request and be attended by company support through new Helpdesk system. Developed Food and Beverage system, replacing the legacy system and adding up new features and management reports. Maintained Electronic Draw on WPF and Bingo Cashier systems on Windows Forms. Created license system in order to protect internal software company from piracy. Installed software applications and trained staff remotely. Installed and configured DotNetNuke for supporting .NET modules in its native Dashboard for corporative intranet. Developed manuals and guides for engineers about installation and use of company’s systems. Presented software explaining the sytems’ workflow process taken and their respective steps of use. Worked with North American company Digital Dynamics in order to establish communication between game protocol converter and slot machine architecture using SAS protocol, for the purpose of transferring funds, obtaining the status of gaming machines, capturing occurred events and collecting metrics during their use. Developed modules for managing Financial Posts (report of negotiation, commercial verification, validation and verification of credit), causation (configuration to collect payment, billing valuations and registration) in. NET for administration of invoices and money transfer. Built reports in Reporting Services for querying transactions by Payers and Liquidation of finalized business. Built Factoring business processes in BIZUIT Agile Business Suite to be integrated with .NET modules. Installed and configured DotNetNuke for supporting.NET modules in its native Dashboard. Developed manuals and guides for engineers about DotNetNuke installation and use and company’s systems. Presented during delivery of the financial system to customers, explaining the workflow process taken and their respective steps. Conducted interviews with users of the legal department and developed front-end application to control company’s contracts. Conducted interviews with users of the Superintendent of Business Management to specify requirements of the new control system of external and internal communications. Developed the new system for web publishing, workflow registration and approval for internal and external communications (to outside institutions), and search mechanism for locate earlier communications records on legacy system IBM DB2 platform. Built Web application for matrix simulation comparing nuclear energy with other types of energy resources and plants. Developed front-end system for registering and monitoring agreements, including Eletronuclear payments to other institutions. Built diagrams of systems analysis using UML methodology and specification of functional requirements. Produced intranet prototypes for approval of the functionalities of the application together with stakeholder. Performed evolutionary maintenance on applications that perform email remote access via mobile device. Developed and conducted unit tests for new projects for new wireless technology. Performed analysis of host providers (who have authentication problems) for correcting access information for mobile operator users. Provided a prototype for remote access to articles and news on the Internet, using technology Really Simple Syndication (RSS). Developed mechanisms for wireless access to email accounts in proprietary formats such as GMail and Hotmail. January 2005 / July 2005 – FIRJAN – Group composed of five institutions (FIRJAN, CIRJ, SESI, SENAI e IEL) working in an integrated way for the development of industry in Rio de Janeiro, encouraging actions to secure a position of prominence to the state of Rio de Janeiro on stage national level political, economic and social. Systems Engineer – Hired consulting, analysis, object-oriented modeling of the Customer Care System for Telemarketing Department. Conducted interviews with the IT team and users to specify requirements of the new system. Developed schedule for project activities to follow up the work of developers team. Built systems diagrams using UML methodology and specification of functional requirements. Provided a prototype for approval of the functionalities of the application together with the representative of the client. Reviewed data dictionary and generated test data to evaluate the application. Registered and monitored concluded versions by the developers for partial approvals (checkpoints) along to the customer. October 2004 / December 2004 – Light – Electrical Energy Company serving 3.2 million consumers and a population of nine million people in 31 municipalities of the state of Rio de Janeiro. QA Analyst – Hired for developing and implementing the quality assurance system (QA) that involves the current group of developers of the Management Services System. Prepared procedures for quality control and project monitoring, as well as registration of nonconformances by adhesion matrix for ascertaining the scope of requirements and processes for customers. Compiled and developed test plan for the Management Services System. Participated in the approval of the application together with the representative of the client. July 2004 / October 2004 – Andean Coca-Cola Company –The Coca-Cola system is one of the largest suppliers of soft drinks in Brazil, composed of Brazil division of The Coca-Cola Company and 39 bottling plants, operated by 16 business groups as independent Andean operating under franchise. This structure absorbs about 25 thousand people and generate about 250 thousand indirect jobs. Systems Engineer – Hired for systems analysis and modeling based on the requirements to be addressed in the Customer Data Management System, allowing its use across the corporate intranet, available to all departments. Developed use cases, sequence diagrams and state (activity) for validation with stakeholder to identify processes and system functionality. Participated actively in the development of the system, developing technical specifications for the functionality and implementing codes to control events behavior in the front-end. Also developed routines to access the remote customer base, located on the SAP server Argentina. Operated SAP/R3 as non dialog user to determine structure and format of the tables in the remote database. Detailed business rules relevant to the format of the data structure for use in the exporting system. January 2003 / July 2003 – Orbitall Serv. Proc. Informações Comerciais –Financial company located in Sao Paulo. Developed reimbursement control for transportation . Deployment of software for more than 6,000 heterogeneous workstations, interacting directly with IT management. Specified sales force automation process with IT from Minas Gerais state, since the commercial contact made with the company until the fulfillment of the customer request. Developed product and sales registration of company’s products, allowing managers to monitor sales opportunities, business proposals and products and services requests, previously confirmed by each commercial agent with the customer. Built modular and integrated test plan, minding user profiles, data validation, navigation and creation of historic operations.